Signup pages are the method by which customers sign up for your agency’s call tracking service. Each time someone completes your signup form, a new account will be added within your agency. Advanced plan users can create and manage signup pages by navigating to the Signup Pages option under the Settings menu. If you already have signup pages in your account, you will see them listed here. Otherwise, selecting this page for the first time will take you to the setup for a new signup page. Create a name for your page so that you’ll recognize it later. Next, the page will ask you to set the billing type for your customer’s new account. You can choose to use customer billing or agency billing. If you choose customer billing, the customer will be prompted to enter their credit card information. They will pay CallTrackingMetrics directly based on your plan rates–no price markups will apply. You can also set the starting balance (we recommend $25.00), which will be the first charge on their credit card. 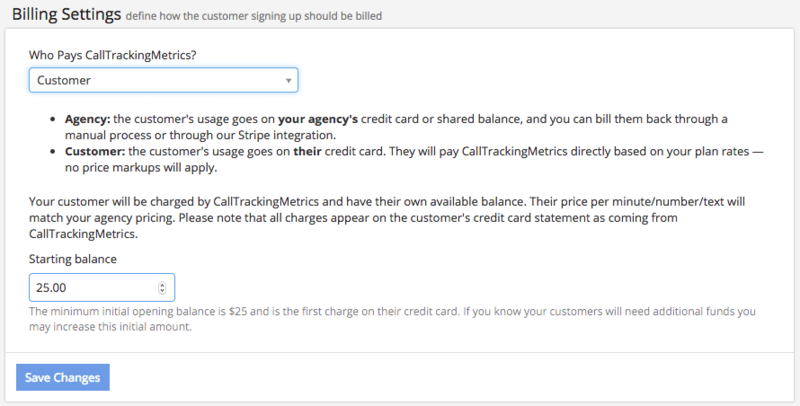 If you choose agency billing, usage on your customer’s new account will be funded by your agency’s shared balance. If you prefer, you can then bill the customer by generating bills manually or by using our Stripe integration. Under User Setup, you will determine the role type for the person signing up to create the new account. 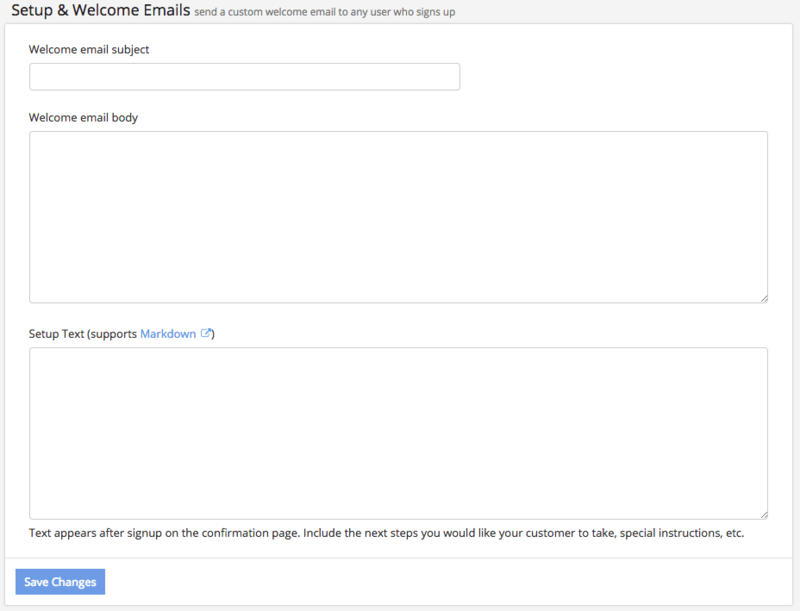 Finally, under Setup & Welcome Emails, you can craft your welcome email and provide custom a instruction page for the user that they will see after they finish signing up. After you have one or more signup pages saved to your account, the Signup Pages section will show a list of all the signup pages you have, with an overview of the page name, user role, a link to the signup page, billing type, price markup, and the number of accounts who have signed up with that page.